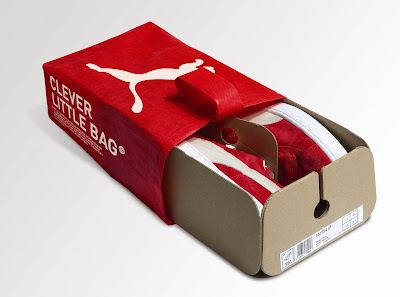 I would actually want to buy a Puma shoe to get a bag and see how the inside works cause the idea is pretty good. Also now you don't have to get a bag over the box while the box is the bag when you buy a shoe. However you might end up with allot of bags though, but for me I don't buy that many shoes only when the ones I wear get worn it time to get a new one and that could take few years. However it is a clever design helping the world to be better and greener. Credits to Puma for images and video.